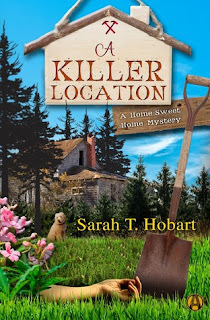 I do have to say that Ms.Hobart has turned me into a lover of cozy mysteries. The main character, Sam Turner, could be my next door neighbor as she struggles to pay her bills and raise her teenage son on her own. Unfortunately, Sam has a habit of finding dead bodies or at least pieces of them. The pacing on this book was spot on, the dialogue is witty and sometimes funny, and the question of who is killing who will keep you glued to the pages until you discover the surprising answer. A KILLER LOCATION is the perfect book to read while curling up with a hot cup of tea.